Trying new beauty products is an easy way to shake things up. Here are my five picks to help you get started! Finding a good foundation at the drugstore is hard. Some are too drying, and others look too chalky on your skin. 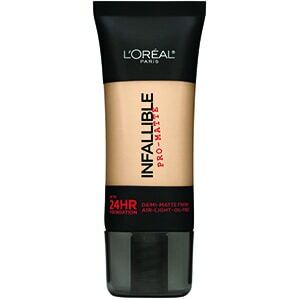 I love L’Oreal’s Infallible range, so when I saw this foundation, which promises 24-hour staying power and a demi-matte finish, I decided I needed it. I gave it a try, and this is a fantastic foundation. It goes on skin beautifully, and doesn’t fall into fine lines or pores. It’s extremely lightweight and the finish is perfect. I still use powder on top of my foundation, but I do that mostly because it helps when I apply bronzer or blush. However, I could go without powder with this foundation! It’s a little pricey for drugstore makeup, but I think it’s a great buy for the money. I’ve probably tried every texturizing spray that exists. I have wavy hair, so I’m always trying to find that product that helps my hair hold its shape, but doesn’t leave it looking and feeling crunchy. 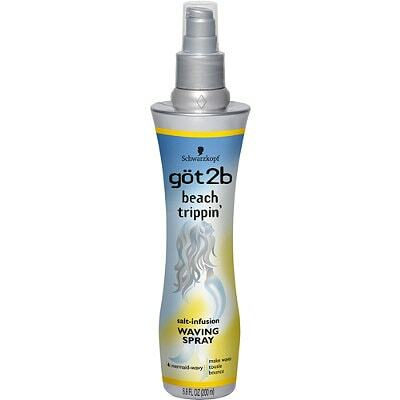 This Got 2b spray is that product. It’s salt-infused, but I don’t find it to be drying at all. I just spray this on the bottom part of my hair and twist the strands or scrunch it up very slightly. I love the effect it gives! It’s not too dramatic and it doesn’t feel like hair spray. 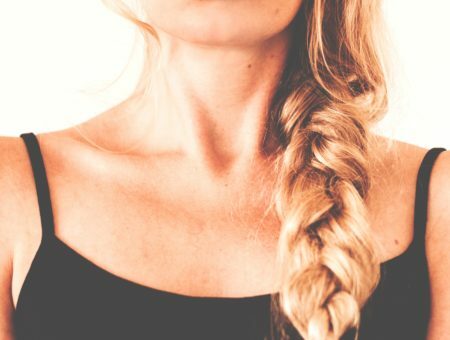 If you have naturally wavy hair or just love that look, give this super-affordable product a try. It’s pretty much a common fact that drugstore eyeshadow is, for the most part, pretty terrible. 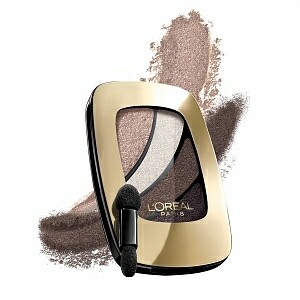 However, these L’Oreal quads are incredible! They’re highly pigmented, soft, apply easily, and are pretty long-lasting for a drugstore product. The range of colors is awesome, too. 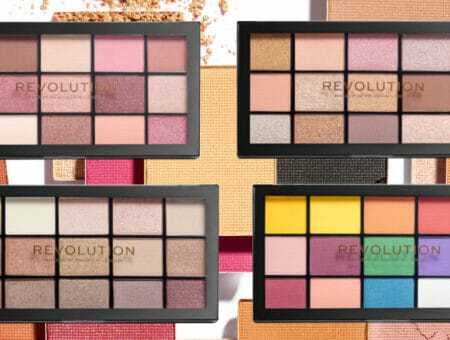 The colors in each quad all go together and can be used to create cohesive eye looks. You get a lot of shadow in these quads, so although the price isn’t dirt cheap, you get quite a bit of product. I recommend picking up one of the neutral quads, like the one above, called Snooze Addict. It’s my favorite! Let me put this out there right now: I hate lip gloss. I hate it so much that if I find one in my makeup bag I throw it out. 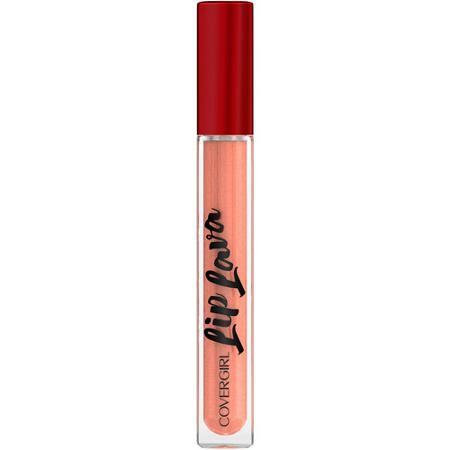 So, when someone told me that these CoverGirl glosses were fantastic, I was skeptical. I was also told they weren’t sticky, so I tried this one, called Lava Luster. It’s a light peach color with tiny duo-chromatic sparkles. This gloss makes your lips look fuller and healthy, and doesn’t dry them out. These glosses are very vibrant with a high color payoff. Although I still don’t like lip gloss, this one is beautiful enough that I would wear it for a night out or with a more natural-looking daytime look. If you are a lip gloss addict, give these a try! 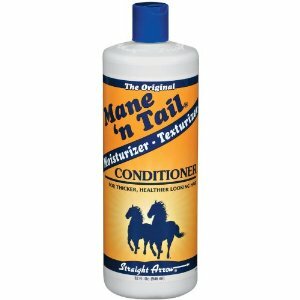 I had never tried Mane ‘n Tail before, even though the production center is about five minutes from my house. I decided to try it two weeks ago and I’ve become a complete convert. My hair is pretty dry and dull, and also frizzy due to damage. After two weeks of using this conditioner, my hair is so soft and shiny. It’s silicone-free, so it won’t weigh down your hair. On the back of the bottle, it tells you to massage the conditioner into your scalp and down the length of your hair, but I was skeptical to put it on my scalp. I decided to do it anyway, and I’m glad I did! This conditioner cured my dry hair and you can’t beat the price. I won’t be going back to my $30 conditioner anytime soon. Do you use any of these products? Which products are you using in your beauty routine right now? Would you like to see more posts like this? Let me know your thoughts in the comments!